I'm wanting to put a box to hold a small floor jack, 4 way lug wrench, and maybe a few other items in the bed of my truck (it has a hard bed cover), but I'm not wanting to drill holes to keep this secured. I'm wandering if they sell some sort of bolt in gadget for the stock tie down points on both sides in the front of the bed. I'd like to have a bracket that will screw in to the sides of my with a hand **** so I can unscrew it without tools anytime I may need to take the box out. 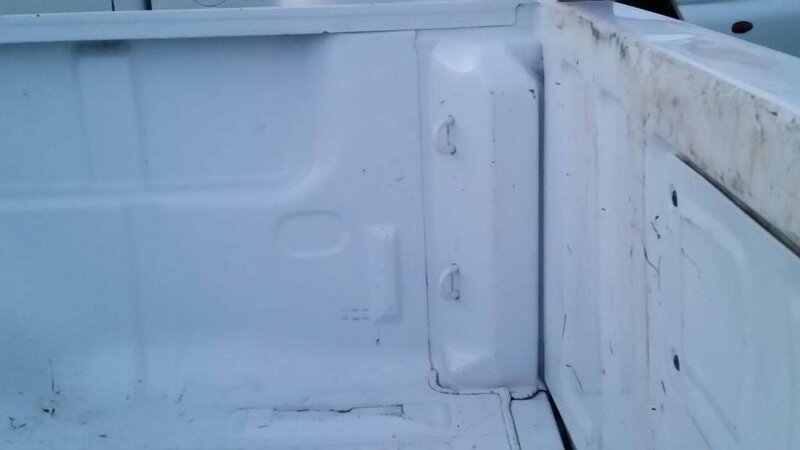 The stock tie downs are the same on many late model GM trucks. Yeah, what I had in mind is still going to be redneckish (Jerry riggin) anyway. The whole reason I'm doing this is in case I got a flat I'd have a small floor jack to use rather than the stock jack which would make things quicker. I don't think you'll find anything like that. Quick Reply: Is this available?